The Institute on Aging External Advisory Board is comprised of dynamic and dedicated individuals from all walks of life who share a common goal - to improve the quality of life for older adults. Meeting several times a year, this body of informed, hands-on, volunteer advisers is instrumental in forwarding the mission of the Penn Institute on Aging. Dr. P. J. Brennan is the Chief Medical Officer and Senior Vice President of the University of Pennsylvania Health System and Professor of Medicine at the School of Medicine and the Hospital of the University of Pennsylvania. From 2001 to 2005, Dr. Brennan served as the Chief of Healthcare Quality and Patient Safety at Penn. In that capacity, he led the patient safety and quality initiatives for UPHS, focusing on medication safety, better communication, and improved reporting of errors and near misses. Dr. Brennan also oversees Medical Affairs and has developed a Center for Evidence-Based Practice to apply much-needed scientific evidence to clinical operations. Dr. Brennan leads the UPHS effort to develop a new model of transparency and integrity in interactions between PENN Medicine and the pharmaceutical industry. A specialist in infectious diseases, Dr. Brennan served as director of Infection Control at the Hospital of the University of Pennsylvania for 11 years. He has also held comparable positions at Penn Presbyterian Medical Center and the Philadelphia VA Medical Center. For seven years, he was director of Tuberculosis Control for the City of Philadelphia. He is a fellow of the Infectious Diseases Society of America and The Society for Healthcare Epidemiology of America (SHEA). In 2008, he served as president of SHEA. Dr. Brennan served as chair of the Healthcare Infection Control Practices Advisory Committee (HICPAC) from 2004 to 2010. This committee advises the Secretary of the U.S. Department of Health and Human Services and the Division of Healthcare Quality Promotion of the Centers for Disease Control and Prevention on a broad range of issues related to control of infectious diseases. In 2010 Dr. Brennan received a CDC Lifetime Achievement Award in the discipline of Policy Impact for his contributions to infection prevention, healthcare epidemiology, and patient protection. Dr. Brennan is also a member of the Patient Safety Advisory Group (formerly called the Sentinel Event Advisory Group) of The Joint Commission. The group provides expert advice on developing national patient-safety goals as they relate to unexpected occurrences involving death or serious physical or psychological injury, or the risk thereof, and which require immediate investigation and response. 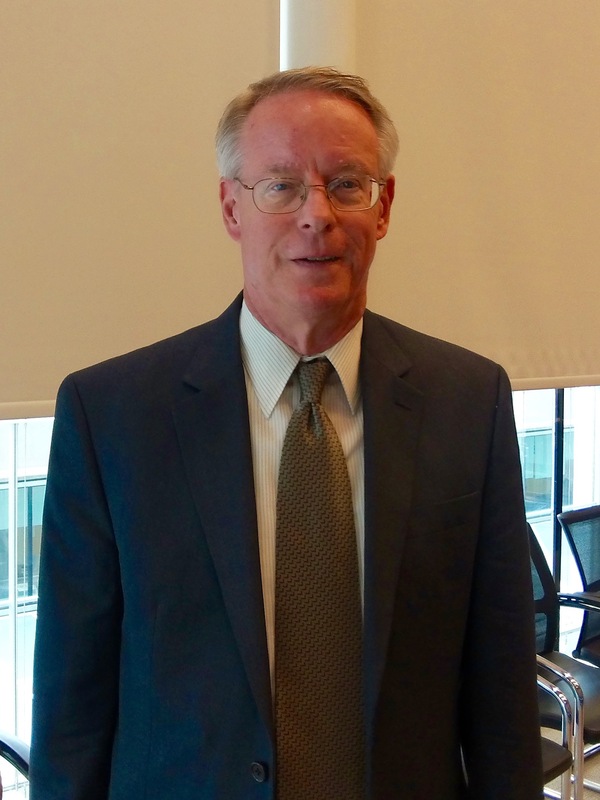 A 1982 graduate of Temple University School of Medicine, Dr. Brennan received Temple's Alumni Achievement Award in 2007. Mr. Clark received a BA from the University of Pennsylvania in 1968. Upon graduation, he became a VISTA volunteer, and subsequently supervisor, of the VISTA program in Clay and Jackson Counties in eastern Kentucky. Upon graduating from the University of Maine School of Law in 1973, Mr. Clark practiced law in Westbrook, Maine, until his retirement in 2014. Mr. Clark is a past President of the Cumberland County Extension Association, which governs the administration of Cooperative Extension programs in the county. In 1982, he received the Association's Outstanding Citizen Award. He currently serves as a member of the Board of Directors and the Treasurer of the Friends School of Portland. Together with his wife, Elaine, Mr. Clark participates in the Health Outreach Program for the Elderly (HOPE) and the Alzheimer's Disease Neuroimaging Initiative 2 (ADNI) research studies at Boston University. David Hoefner is currently the caregiver for his wife of 41 years who suffers from Frontotemporal Dementia. Prior to 2002, Mr. Hoefner's business career was comprised of numerous and varied executive roles applying his broad-based expertise in Information Technology, process engineering, risk management, organizational design, M&A, operations, and turnarounds. Prior to 2002, Mr. Hoefner served as Executive Consultant to CAO & Board of Directors of the Ogden Corporation / Covanta Energy, New York, NY. Mr. Hoefner was recruited as strategic advisor to ensure business continuity. He served as Transition Executive conducting comprehensive assessments of the company's aviation and entertainment divisions to position them for profitable sale, which was Instrumental in generating $500+ million revenue thru the divestiture. He consolidated technology assets and isolated major systems creating independent operating units. Mr. Hoefner served as Program Manager coordinating a 235-member multicultural team in successful 11th-hour turnaround of $2 billion company's Information Technology strategy. He seamlessly transitioned 1,039 mission-critical systems across 343 sites in 25 countries with zero downtime. Prior to 1999, Mr. Hoefner was consistently recruited and selected to lead complex large-scale change initiatives at PECO Energy/Exelon, Philadelphia, PA. Mr. Hoefner led multiple strategies that brought high-profile plants into regulatory compliance. As a goal-driven leader he has had a track record of bottom-line results achieved through system and process improvements. He has slashed annual expenses by $42 million while attaining world-class performance. As an adept strategist, Mr. Hoefner resolved complex problems by leveraging combined business and technology acumen. He has decreased organizational complexity, restructured, merged, and outsourced internal business units. He has evaluated emerging technologies, managed product selection, and spearheaded the integration of technology. As a Strategy Manager he led 200-member implementation team, which executed a $32 million in IT improvement and quality strategies. He has designed, deployed, and supported portfolio of 34 major systems in 24/7 operating environment, oversaw data administration, telecommunications, security, and disaster recovery functions, and created strategic plan encompassing capacity planning, infrastructure analysis, data storage projections, and client support. Mr. Hoefner received his MBA and BSME (emphasis on MIT-based systems engineering concept) from Widener University. Founder and President, Real Estate Investment Strategies, Inc.
Carol Huff is the Founder and President of Real Estate Investment Strategies, Inc., a commercial real estate management firm located in Philadelphia, PA. Ms. Huff has worked in the real estate industry for over thirty years and has personally been involved in more than $2 billion of real estate transactions. She has also been the representative for a half interest in a $100 million office tower; managed a $170 million portfolio of real estate investments, and has been the representative for the recent sales of a $100 million building and the principal for a $20 million sale. Ms. Huff recently completed negotiation for a major law firm lease valued at more than $50 million, and was the tenant representative in the development of a $35 million data center. Prior to forming her own firm, Ms. Huff was the Partner-elect of a nationally known real estate firm headquartered in New York. Her expertise was in syndications and development. She also led marketing of newly developed projects, concentrating on those in which the firm's partners had substantial financial interests. Ms. Huff holds an undergraduate degree in Civil Engineering, an MBA, and the prestigious C.C.I.M. designation (Certified Commercial Investment Member). Fewer than 3% of the 80,000 commercial/industrial real estate professionals in the country have attained this designation. Ms. Huff is a board member of CADE—Helping Children Make Smart Decisions and a Former President of the Philadelphia Bar Foundation. Founder and President, Huff Real Estate, Inc.
Lawrence A. Huff is the Founder and President of Huff Real Estate, Inc., a real estate consulting and tenant representation firm with national and local corporate and institutional clients, as well as a commercial office space asset management firm handling 230,000 square feet of "Class A" office space in Center City, Philadelphia. Prior to establishing Huff Real Estate over twenty five years ago, Mr. Huff formed, organized, and managed with great success the 138-man corporate real estate department at Conrail—a $4 Billion transportation company with over 255,000 acres of land, 2.5 million square feet of office space and over 4,400 heated industrial buildings. During his nine years at Conrail, Mr. Huff institutionalized the application of modern financial theory to real estate management. He further introduced the concept of asset management and put in place a facilities energy management program. Mr. Huff is a graduate of Stanford University and received a law degree from George Washington University. He is the Former President of the Delaware Valley Chapter of the National Association of Corporate Real Estate Executives. Jeffrey L. Keefer is a business strategy consultant. He is retired from the DuPont Company where he last served as an Executive Vice President responsible for corporate strategy development, the Performance Coatings Business, Information Technology and overall cost and working capital productivity programs for the Company. He also served from June 2006 through 2009 as Executive Vice President & Chief Financial Officer of DuPont. He was a member of the Office of the Chief Executive. Jeff joined the Company in 1976 as a financial analyst for the Chemicals and Pigments business after receiving a Masters of Management degree from Northwestern's Kellogg Business School. After several years of supervising the business' accounting function, he accepted a field sales assignment in 1982. In 1985 he was appointed customer service manager for the unit. In 1987, Jeff was named TiO2 market manager of the paper industry, one of the three major markets served by Dupont Titanium Technologies. He assumed sales management responsibility for that segment in 1989. Four years later, Jeff was appointed managing director of the Asia Pacific region for DuPont Titanium Technologies and played a major role in the start-up of DuPont Titanium Technologies's new plant at Kuan Yin, Taiwan. Upon his return to the United States, Jeff was named director of new ventures in 1997. In February 1999, he was named vice president and general manager - DuPont Titanium Technologies. He was named group vice president - DuPont Performance Materials in January 2004. Delaware Guidance Services. He also serves on the Deming Center Advisory Board at Columbia University and the Patients Council of The Michael J. Fox Foundation. He is a past board member of the National Paint & Coatings Association and the Paper Industry Management Association. Kellogg business school. He resides with his wife, Anne, in West Chester, Pennsylvania. Dr. Bruce Kehr has served as Founder and President of Potomac Psychiatry since 1981. Washingtonian Magazine awarded him their “Top Doctor” designation from 2012 to 2015. In 2016 the magazine named him “The Face of Psychiatry” in their “Faces of Washington” issue. He treats adolescents, adults, and the elderly in psychotherapy, and with medication management when needed. He is also Founder and Chairman of AdhereRx Corporation, devoted to the patenting and commercializing of technologies that improve patient medication adherence. In 2013 Dr. Kehr was selected as a Top Geriatrician by the International Association of Healthcare Professionals. Dr. Kehr also serves on the Board of the Institute on Aging of the University of Pennsylvania, where he served as Chairman from 2006 to 2009. He was selected as one of the "100 Most Inspiring and Influential Leaders in the Life Sciences Industry," by the readers and editors of PharmaVOICE in 2007. Dr. Kehr received training in psychotherapy at the Boston Psychoanalytic Institute, where he also completed his training psychoanalysis. A forensic consultant in neuropsychiatry and traumatic brain injury, Dr. Kehr is also the inventor of sixteen issued patents and five pending patents in the United States, Europe, Japan, and Canada, as well as issued and pending trademarks and service marks, in the field of medication adherence software, hardware and communications technologies. He has frequently lectured on the interface between executive coaching and psychiatry; the field of medication non-adherence, where he is recognized as an expert; and has lectured on neuropsychiatry aspects of traumatic brain injury. He received his BA from the University of Pennsylvania, followed by an MD from the Georgetown University School of Medicine. He is Board Certified by the American Board of Psychiatry and Neurology, and has been in practice since 1978. President, McCabe Capital Managers, Ltd.
A graduate of Vassar College and the New York School of Design, Vivian Weyerhaeuser Piasecki has contributed her creativity and philanthropic spirit as a longtime member of the IOA's External Advisory Board. President of the Piasecki Family Foundation and active with the Weyerhaeuser Family Foundation, Ms. Piasecki has served on numerous corporate boards, both locally and nationally, while maintaining her personal commitment to community involvement and service here in Philadelphia. Ms. Piasecki has served as a Trustee of the University of Pennsylvania, as Chairperson of the Board of Overseers of the Penn School of Nursing, and on the board of the University of Pennsylvania Medical Center. In addition to her tenure as a member of the IOA's External Advisory Board, she currently participates as a senior board member for WHYY, Inc. and One to One - The Greater Mentoring Partnership. Ms. Piasecki also has been integral in the development of the National Constitution Center, co-chairing the Center's Capital Campaign, which made the Center a reality, and serving as a member of the board and the executive committee. Mr. Wachtel is an attorney and real estate investor based in Brooklyn, New York. As President of Lucky Boy Development LLC since 2003, Mr. Wachtel has participated in and sponsored several multifamily residential projects in the greater New York City area. At the same time, Mr. Wachtel remains a practicing attorney and regularly assists clients in the development, acquisition, sale and financing of various types of property. Prior to entering the real estate business, Mr. Wachtel was in private practice as a real estate attorney at the firm of Kramer, Levin, Naftalis & Frankel LLP in New York. Mr. Wachtel graduated in 1996 from the University of Pennsylvania with a B.A. in International Relations. He spent his Junior year abroad at the London School of Economics where he completed the General Course with a concentration in International Relations. Mr. Wachtel went on to receive a JD in 1999 from Brooklyn Law School where he was elected an editor of the Brooklyn Law Review. Mr. Wachtel currently resides in Brooklyn, New York with his wife, Catherine, and his daughter Annabelle. His studies in International Relations have served him well in his personal life, as his wife Catherine hails from Paris, France. Like many, his life has been touched by Alzheimer's disease, and he is committed to learning more and participating in whatever way possible in the battle against Alzheimer's.